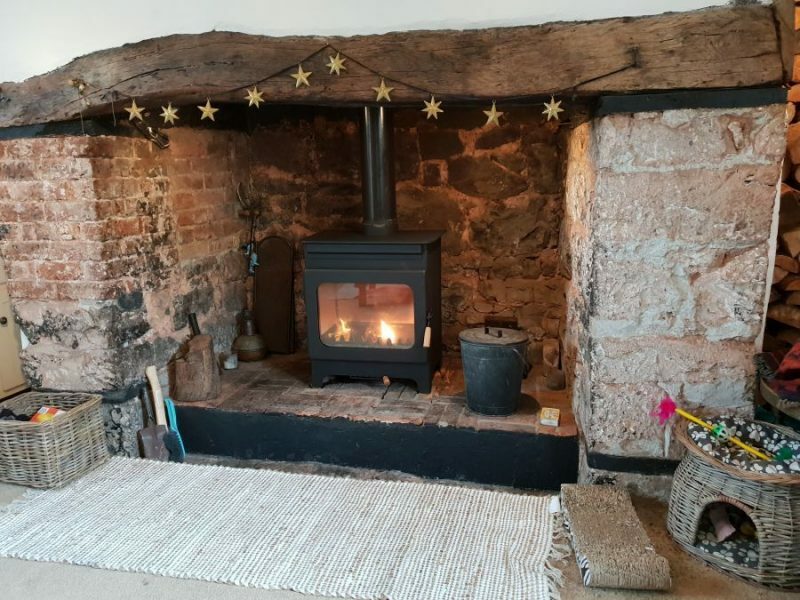 This wood burner installation in Somerset went very well. As always! We take out an old, and inefficient Villager Stove, that’s completely shot. It must weigh 120 kg, phew! We put in an ultra efficient 8 KW Burley Fireball. Its a great stove and furthermore goes in with no issues. When we say ultra efficient, we mean it. As well as being an attractive stove, its also super efficient. We wish every wood burner installation could be one of these beauty’s. It is not all fun and games however, we still have to fit a vent through the wall. The walls must be more than 2 feet thick. Thankfully Glowing Stoves have all the right equipment for this type of work. Cheap tools give cheap results, or so the saying goes. Having the right kit makes any wood burner installation that much easier. Ventilation for a wood burner installation. Hetas log burners regulations state that any wood burner installation over 5kw needs to have a vent installed. The details relating to ventilation can be found here. The most efficient wood burning stove in the world! At the Hearth and Home Exhibition the Burley Fireball was a 2015 award winner. Furthermore, Burley claim that its the most efficient wood burning stove in the world. At 85.5% efficient it is truly amazing. However its not a budget stove. At over £1000 the price reflects its quality. Despite the price, we think its good value however, especially when considering the efficiency and quality build. It is a great wood burner installation and our customer is very happy. She has two dogs and we are sure they will be happy also. If you need any information or advice on the new regulations due to start in 2022, please call us.